When you’re looking for a dentist, it’s important to find a professional who offers the type of comprehensive dental services that protect your family’s oral health. Dr. Uhl and our team are highly-trained professionals who always have your best interest in mind. We listen carefully to your concerns so that we can recommend services and develop treatment plans that fit your unique needs. At German Church Road Family Dentistry, we are happy to welcome children of all ages. To get the best possible start, we recommend that you bring your child in for their first visit as soon as their baby teeth start to appear. We take the time to get to know your child on their terms to help them develop a positive attitude about their future dental care. Our team knows how to make dentistry fun for your child, and we can arrange “happy visits” to help your child get used to us and the new surroundings. Excellent oral health starts with treatments that prevent problems from developing in the first place. We stress the importance of routine dental exams and cleanings because these basic treatments can go a long way toward keeping your family’s teeth healthy. New information shows that there is a direct connection between the health of your mouth and your general well-being. So it’s important to keep your mouth disease-free with regular cleanings and periodontal treatment that protect your overall health. No matter how well you take care of your teeth, things can go wrong. If you get a cavity, we can use tooth-colored fillings that look completely natural and strengthen your teeth. Sometimes decay can damage your tooth extensively before you’re even that it’s happening. If you need a root canal or tooth extraction, you can be confident that Dr. Uhl has the experience to perform these procedures with efficiency and precision. Our team will do everything possible to make sure you are comfortable. We may recommend dental crowns if a tooth is weakened by decay or needs protection after root canal treatment. 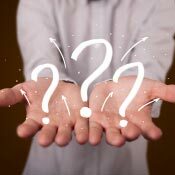 If you lose a tooth, we can help you decide if a dental implant, bridge, or denture is the best choice for you. If you’ve been living with cosmetic dental flaws and you’d like to make a change, we can help you love your smile again. Professional teeth whitening treatments are quick and affordable and may be all you need to bring the sparkle back to your smile. Are you bothered by a mouthful of crooked teeth that make you want to hide your smile? ClearCorrect is an orthodontic treatment that can easily correct misaligned teeth, and the best part is that no one will notice that you’re wearing them! Porcelain veneers are a beautiful cosmetic solution used to correct a wide variety of dental imperfections. You don’t have to live with chipped, broken, or severely stained teeth because veneers can transform your smile in just a few office visits. We are committed to taking the stress out of dental care for you and your family, and we treat you as we would like to be treated. 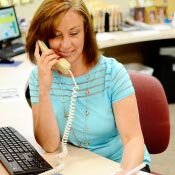 Our team will go out of their way to make your treatment easy so that you can get the care you need and get on with your busy life. 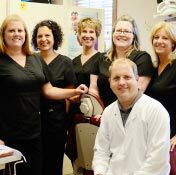 Please contact our Indianapolis dental office to arrange a visit to our office so that you can meet Dr. Uhl and our team. We look forward to helping you achieve outstanding oral health!